Finally my internet connection getting better. The service provider are now laying fibre optics cable everywhere for High Speed Broad Band, by early next year my place may have 10mbps line :) cool. 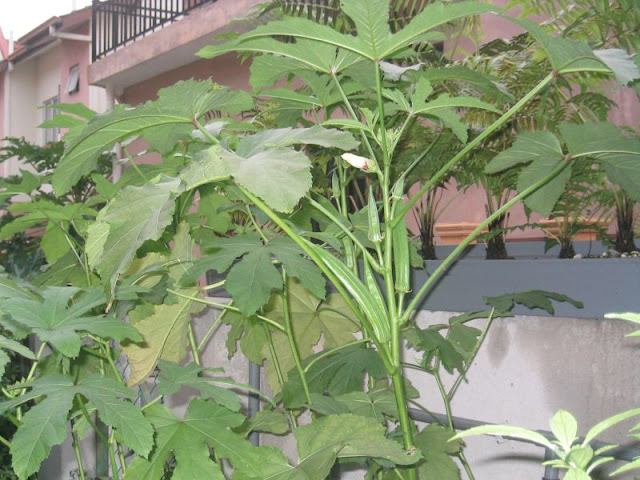 This is a quick update on Okra. As photo you can see they are doing well. 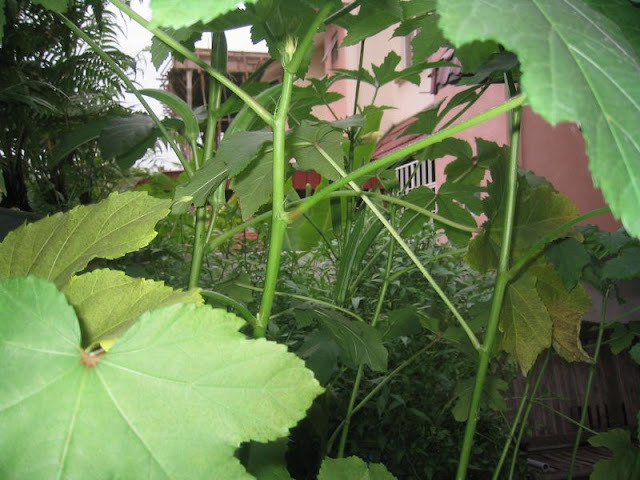 However only 2 plant bear fruit, those Okra I am letting it to ripen so that I could collect more seed for planting. 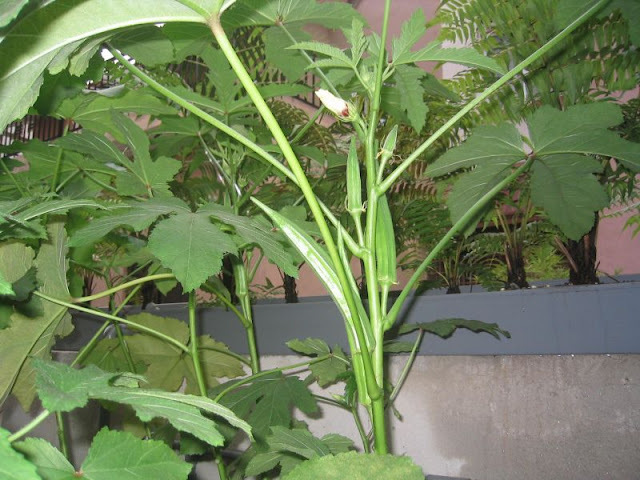 The plant are flowering, If I have more Okra plant then it will be more Okra :) , each growbed I would recommend about 3 plant and mix them with others since Okra will grow quite tall. I will replant, new Okra from seeds that on the earlier photo.